Fradan’s innovations in blower design have always led the way, and this new blower promises to set the standards for years to come. 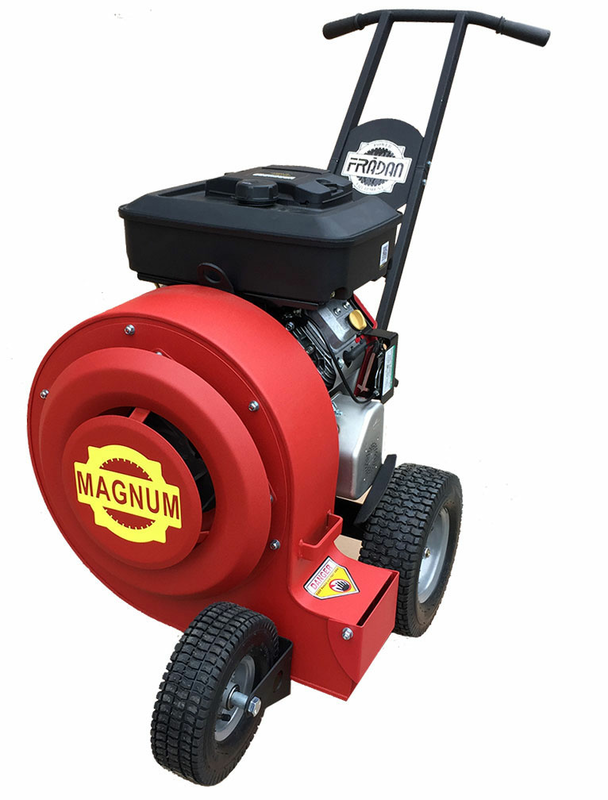 With its new improved impeller, blower housing and twin cylinder engine, the FRADAN MAGNUM PUSH BLOWER is believed by many to be the most powerful push blower in the world today. The MAGNUM gives you the ability to unleash the power of a hurricane by simply raising the throttle. Fradan as always has efficiently managed to produce more power, while still keeping the light weight design, and without sacrificing integrity and quality.